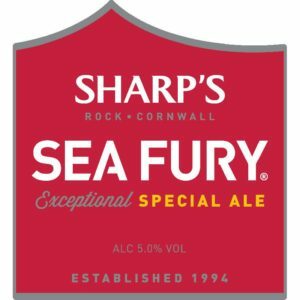 SHARP’S BREWERY WAS FOUNDED IN 1994 IN ROCK, CORNWALL WHEN ENTERPRISING BREWER BILL SHARP SET OUT ON A MISSION: TO MAKE EXCEPTIONAL QUALITY BEER ON THE NORTH CORNISH COAST. WITH A SMALL MICRO BREW PLANT AND AN AMBITION TO BREW 500 PINTS PER WEEK TO PAY THE MORTGAGE, SHARP’S BEER WAS BORN. BREWED WITH TIME HONOURED BREWING TECHNIQUES AND ONLY THE FINEST QUALITY INGREDIENTS, OUR BEER DEVELOPED A SIGNATURE STYLE THAT CONTINUES TO THIS DAY; BALANCED, ELEGANT, HIGHLY DRINKABLE WITH COMPLEXITY OF FLAVOURS AND A MOREISH FINISH.